Media literacy lessons aim to make teenagers savvier about what they read online. High school seniors in Northport, New York, look for examples of direct evidence and verified information in news stories. When the AP United States history students at Aragon High School in San Mateo, California, scanned the professionally designed pages of minimumwage.com, most concluded that it was a solid, unbiased source of facts and analysis. They noted the menu of research reports, graphics and videos, and the “About” page describing the site as a project of a “nonprofit research organization” called the Employment Policies Institute. But then their teacher, Will Colglazier, demonstrated how a couple more exploratory clicks—critically, beyond the site itself—revealed the Employment Policies Institute is considered by the Center for Media and Democracy to be a front group created by lobbyists for the restaurant and hotel industries. The exercise was part of “Civic Online Reasoning,” a series of news-literacy lessons being developed by Stanford University researchers and piloted by teachers at a few dozen schools. The Stanford initiative launched in 2015, joining a handful of recent efforts to help students contend with misinformation and fake news online—a problem as old as dial-up modems but now supercharged by social media and partisan news bubbles. The backers of these efforts warn that despite young people’s reputation as “digital natives,” they are woefully unprepared to sort online fact from fiction, and the danger isn’t just to scholarship but to citizenship. Stanford’s myth busters, led by education professor Sam Wineburg and doctoral student Sarah Cotcamp McGrew, have field-tested 15 news-literacy tasks of varying difficulty, with about 50 more in the works. Can middle-school students spot “native advertising” (ads masquerading as articles) on a crowded news website? Can high-school kids check the authenticity of an alarming image posted on Facebook? Will students investigate the sources of controversial claims? Will they seek corroboration? By and large, according to a report the group published in November, the answer in each case is no. The news literacy initiative is based in the Stanford History Education Group that Wineburg founded in 2002 to train teachers how to use primary sources and help students critically evaluate historical claims. The group also created a free digital curriculum called “Reading Like a Historian” that’s been downloaded more than 3 million times, according to Wineburg. One early K-12 adopter of the Center’s news-literacy lessons was Janis Schachter, a social studies teacher at Northport High School in Long Island, New York. 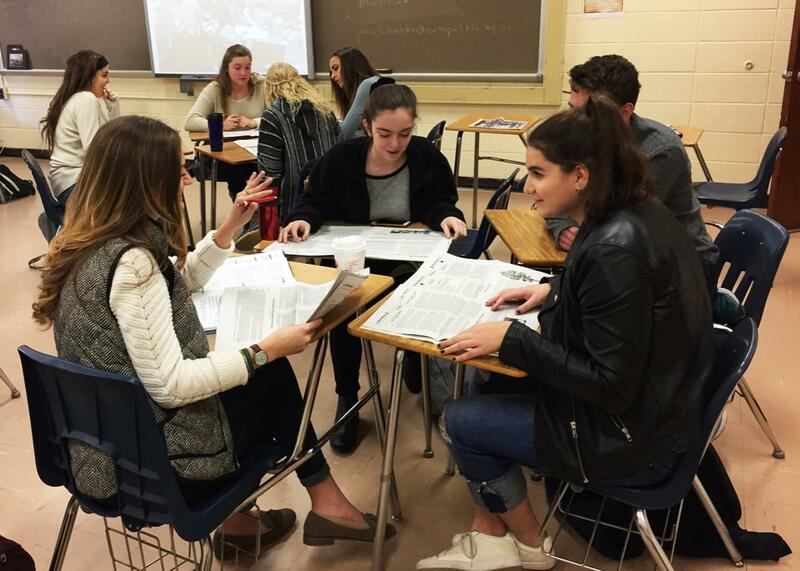 Schachter took one of the center’s first summer trainings and has taught Northport’s news-literacy course since 2011 as an elective that meets New York state’s “participation in government” graduation requirement. Gradually, Schachter’s students learn how to sort through it all—to check for multiple, informed, and named sources, and for claims backed by evidence they can independently verify. “I tell the kids, it’s not fair that we have to do all this work, but the reality of the internet is that we do,” said Schachter, who also stresses that students only need to verify news they plan to act on, whether by voting, protesting, or just spreading the story by sharing it. Still, learning news-literacy skills is one thing, and the motivation to use those skills is another. If that tantalizing headline in our Facebook news feed fits our political outlook, why do the digging that might undermine it? In some good news, a new study Kahne co-authored, based on a national survey of young people ages 15 to 27, found that self-reported media-literacy training did make people significantly less likely to believe a factually inaccurate claim even if it aligned with their political point of view.